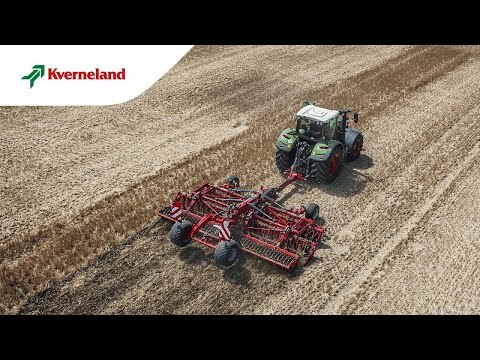 The Kverneland Qualidisc Farmer has been designed for operation up to 10cm working depth.Therefore, the Kverneland Farmer is 7% to 15% lighter than the current Qualidisc, thus easier to lift and ideal to reduce soil compaction. The Qualidisc Farmer is available in working widths from 2 to 4m, the folding version and the Qualidisc Farmer trailed are available from 4 to 6m. The Qualidisc Farmer is equipped with a new disc arm ready to receive the heat-treated disc of 520x5mm (hardness 215kg/mm²) without any lateral moving during work for a constant cutting quality. Well-protected maintenance-free disc hub for a long life time under large pressure at high working speed.